Financial: Pokémon Go Has Made Nintendo More Valuable Than Sony? Pokémon Go Makes Sony a No? Hey there PlayStation gamers, Bre here with another PS update. This update is a bit different then my usual updates, it deals with not only Sony but Nintendo too. So the news I have for you today is that the new popular application for your phone known as “Pokémon Go” has now helped Nintendo become more valuable than Sony. While this may not come to a shock to most of you, there are still some people that still hold hope that Sony will stay above Nintendo. The new app for your phone gets you out and moving by having you search for Pokémon all around your town, then trying to catch them, all while leveling up and choosing your gym. I can say I am fond of Pokémon Go myself, but I also am fond of Sony so this puts me a tight squeeze. Though this may be the straw that brings Nintendo back from the Wii U somewhat flop, but at the same time Sony will is right behind fighting for their title with things such as the PS4K coming out soon. Which will be the winner? I guess we’ll wait and see, as for now Nintendo remains the champion. Re: Financial: Pokémon Go Has Made Nintendo More Valuable Than Sony? Sorry, but this is just dumb. Pokemon Go isn't even that good of an app so why is it being treated like the second coming? @Ichigofan I have to agree I love playstation and all, but Nintedo has always been a big one for me and the boyfriend. @GrumbleVolcano I think it could be a great app, but that they released it too soon with too many bugs that still need worked out. Welcome to the team, @unrealgamergirl! 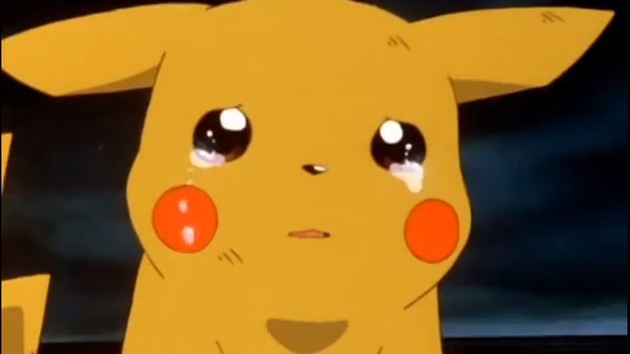 Pokemon Go should be called Pokemon oh no. Nintendo is going to make a mountain out of a ant hill regarding the sales of their mobile venture. @ToughGamer I like the game, but I feel it still has a lot of bugs that should of been worked out before releasing it. Nintendo's stocks crashed this week. Investers had an epitome that Pokemon Go isn't magical. Oh my o.o plus they took the tracking device off the application, plus took down all other Pokemon tracking applications so this has made people even more mad. Pokemon Go is no longer in the top 20 best-seller list on Android as of today. @ichigofan wow they are really desperate then. I feel the game went down hill once they took the tracking device off, but then some say it was the reason for all the server crashes so.